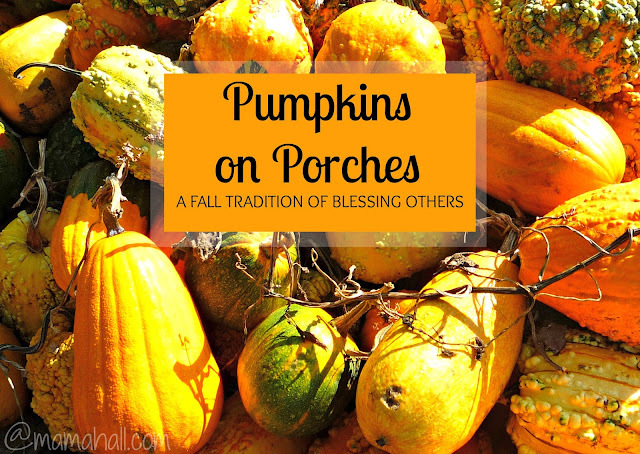 'tis the season for pumpkins on porches! i love it. i love collecting these gorgeous gourds - all shapes and sizes - throughout October and November. pumpkins make me smile! such a simple Fall-time pleasure. thank You, Lord, for creating pumpkins. a few weeks ago i took the kids to the pumpkin patch, the first of many we'll visit this season. 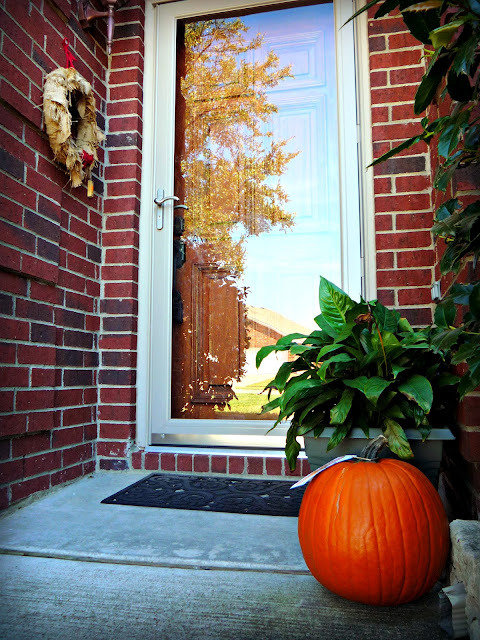 while there, i was inspired with an idea for a new Fall tradition for our family. i put the idea into motion immediately. it all happened so fast - it was very spontaneous! thrilling! and, at the risk of outing us to the friends that were involved, i want to share with you our new Fall tradition because it was so much fun and i know we'll look forward to it year after year! then the most fun part: we secretly and anonymously delivered them to front porches of unsuspecting friends SQUEEEE! 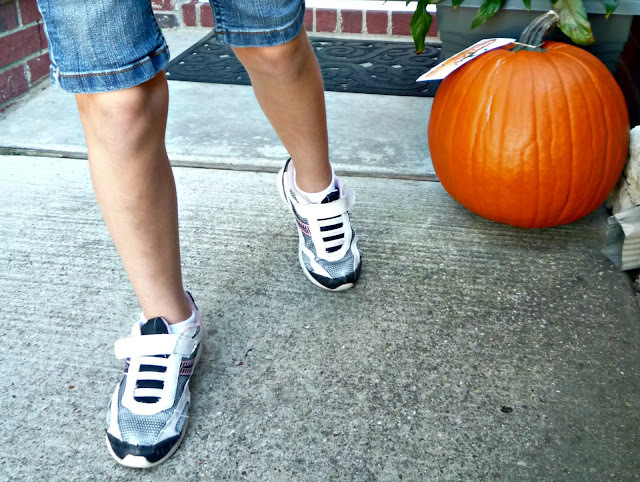 and then we giggled and smiled and giggled some more, imagining our friends' sheer joy of finding a gifted pumpkin on their front porches. 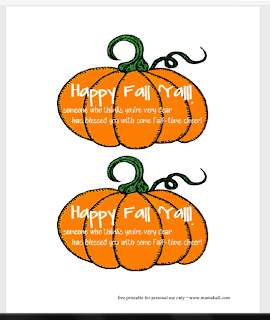 here is a free printable of the cute little note so you can tie them onto pumpkin stems and deliver them anonymously to your unsuspecting friends! happy fall 'yall!